In the summer of 2013, when Stephanie Reifman of Upper Saddle River was 13, Cory Monteith — one of her favorite actors — died of a heroin overdose. To accomplish her goal, Stephanie created what she called H.A.P.P.Y. Week — the acronym stands for Heroin Addiction Prevents People’s Years. Students in the program go to an assembly where they see a short informational video — which Stephanie created — followed by a segment in which she interviews both a recovering heroin addict and a parent whose child has died of an overdose. “I draw out their stories through interview questions,” Stephanie said. When she was 13, Stephanie approached the alcohol and drug abuse division of the Bergen County Department of Health and Human Services for advice on securing potential speakers. She was put in touch with Spring House, the county’s halfway house for women recovering from alcohol and drug abuse. Since then, Spring House has provided speakers — generally ranging in age from 22 to 28 — for each of the 40 presentations Stephanie has arranged for schools, synagogues, and youth groups. The first one was at her own middle school, and featured a recovering addict. At other times, the speaker has been a bereaved parent. 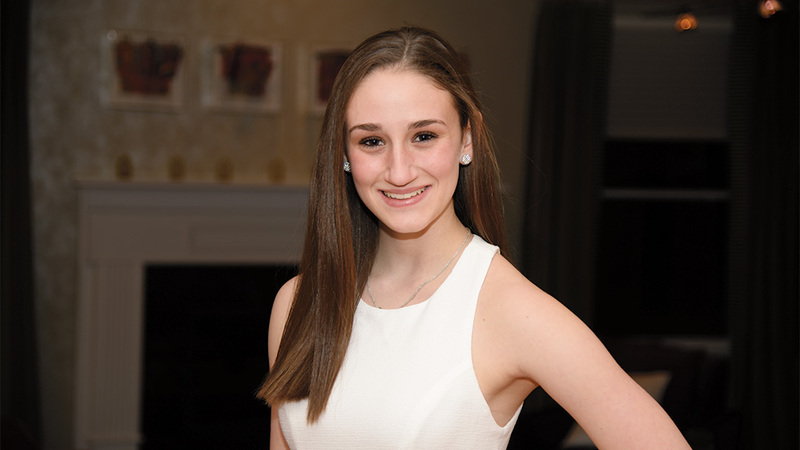 Real Life Rad Girls: Tikkun Olam Award Winners!